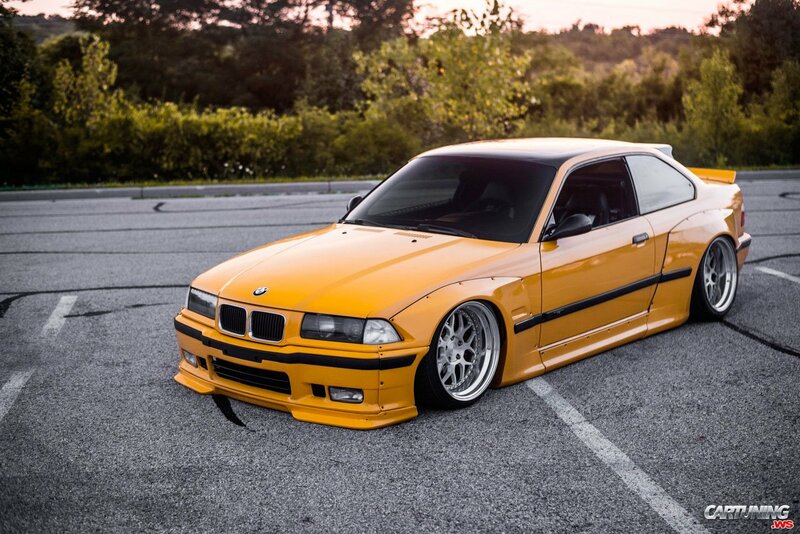 Shiny yellow coupe BMW M3 with widebody kit. This M3 has air suspension, so car can lie on the ground. Looks cool! To finish this cool look, car has wide polished wheels.